As the weather gets warmer, it’s important to find a reputable facility that offers secure fur storage in Chicago . Fur cold storage is necessary to maintain the lifespan and beauty of your fur coats, fur capes, fur accessories, and luxury furs. Here are some essential factors that you should consider when choosing a fur storage facility. The purpose of fur cold storage is to prevent your furs from drying out, or becoming moldy or infested with bugs. An ideal fur storage facility will maintain the appropriate temperature and humidity levels to protect your fur coats and luxury furs from damage. The proper temperature range for fur storage is about 50 degrees Fahrenheit. The humidity levels should be between 45 to 55%. The fur storage facility should have minimal exposure to UV light in order to protect your fur coat, fur cape, and fur accessories from becoming faded or discolored. Before you put your fur coat, fur cape, or fur accessories into fur storage, they should be fully inspected to see if they need cleaning or fur repairs from a furrier. A thorough cleaning of your luxury furs prevents oils, makeup, perfume, and other residue from damaging the furs while in storage. Every fur garment should be cleaned every year regardless of how often it was worn. 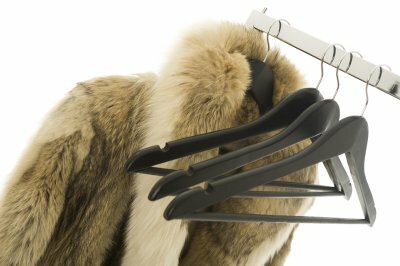 Fur care and fur repairs prior to fur storage ensure that your fur coat will be ready to wear once you retrieve it from fur cold storage.